In an extract from his new edition of Staging Musicals: an Essential Guide, director Matthew White discusses the personal research that different members of the creative team undertake before rehearsals begin. How far can you go to research a musical? The answer is, in my case, a very long way. One particular journey involved travelling from London to the beautiful coast of Maine on the east coast of America to research a production of Carousel, which I was due to direct in Tokyo with an all-Japanese cast. My trip enabled me to take some fabulous photographs of the architecture and coast- line of New England which I was then able to show to my Japanese actors to help them visualise the exact locale in which the story unfolds. The intimate knowledge I gained of that particular place, and of its quirks and customs, helped me to give the cast a rare insight into a show which was as alien to them as an old Kabuki play would be to us. Everyone approaches research in their own, personal way, and what inspires and delights one person may irritate and bore another. Personally, I love having the time and opportunity to find out as much about a piece and its writers as I possibly can. 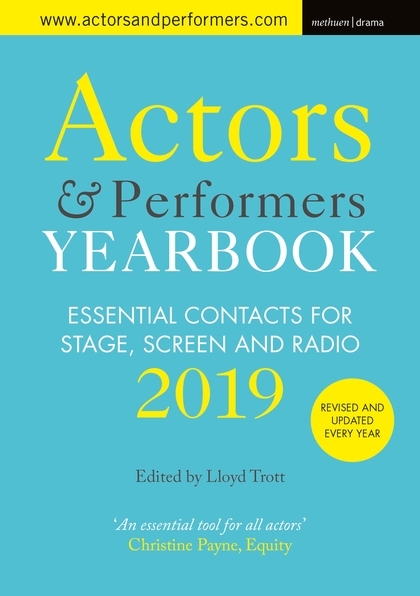 Not only does this allow me a greater insight into the show, but it also provides me with lots of material to share with the company once rehearsals begin. From the very start it is important that every member of the creative team has access to a decent recording of the show, a copy of the script, and ideally a copy of the score too. It is not enough to have ‘a good idea what the piece is all about’; each member of the team must have a detailed understanding of the show, and be clear about its characters, themes, references and musical content. Whilst some musical directors will head off to find an existing cast recording so that they can get an overall sense of the show’s musical content, others will prefer to immerse themselves in the score. It is generally useful for them to listen to other works by the same writers to get some sense of their musical style and a context for their work as a whole. The musical director may also want to make some early decisions about orchestration and instrumentation and will need to find out what arrangements already exist, and whether they are suitable for the particular production in hand. This information is easily accessed by contacting the licensing company. The choreographer will almost certainly try to listen to an existing recording of the piece as soon as possible, in particular the dance sequences, and will want to get to know the music inside out so that options concerning staging and choreography can start to be explored. Depending on the period and location of the story the choreographer may also want to research specific dance styles, such as the waltz (A Little Night Music), the tango (Kiss of the Spiderwoman) or the Charleston (Thoroughly Modern Millie). Once preliminary discussions have taken place between the director and the creative team, and decisions have been made about the period in which the show is set (and this may, of course, differ from the writer’s original intentions), the designer can start to design the set. If it is intended to be naturalistic then this will involve some research into the period, making special reference to styles of architecture, types of furniture, and texture and colour of fabrics. Without doubt the internet can be a valuable resource when it comes to research, but there are many other illuminating ways of achieving this: consulting reference books, works of literature and life- style magazines, going to art galleries, visiting museums, and watching appropriate documentaries and feature films. It is quite possible that the finished design will make only a passing nod at authenticity, but even so, most designers will want to know something about the historical period before their creativity takes them off in a different direction. It is easy to generalise, of course, and no two designers will approach their work in quite the same way, but in my experience designers tend to be inveterate collectors and will usually have bookcases over- flowing with tantalising volumes referencing all sorts of different periods, countries, fashions and fabrics. Costume designers will usually approach their work in a similar way. Detail is, of course, vitally important, and, assuming the production is set in a specific period, the costume designer will want to make absolutely certain that suitable reference material is available and that period detail is observed. If the show is likely to be dance heavy they will need to think about the best ways of creating costumes which are comfortable, durable and easy to move in. They will inevitably want to have some communication with the choreographer at this point so that they are aware of the type of choreography intended for the show; this will have some impact on the designs chosen for each individual character. 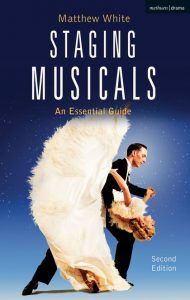 Staging Musicals: an Essential Guide is published by Methuen Drama.